The most popular double concerto for trumpets, Antonio Vivaldi wrote this work for two natural trumpets and strings. The music is simple and elegant, utilizing the non-chromatic capabilities of the natural trumpet. 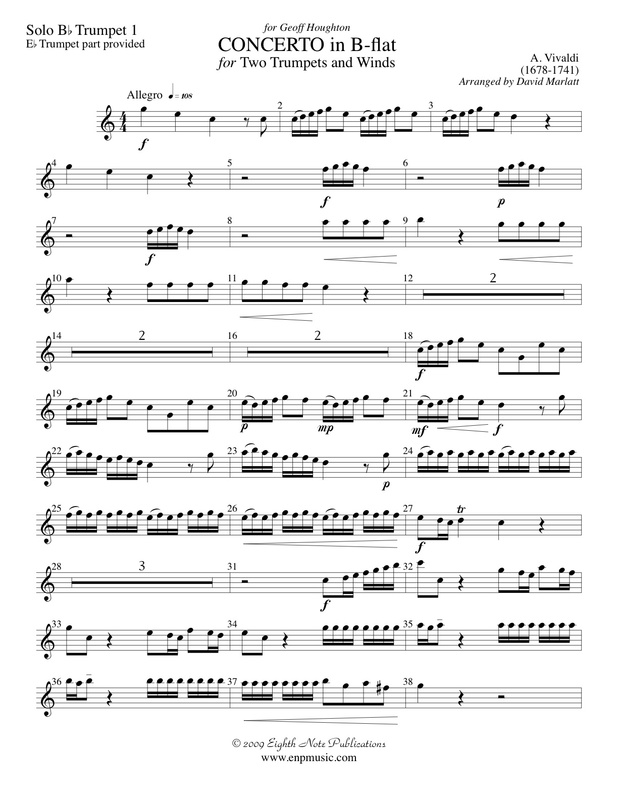 Falling arppegios, half a scale and fanfare figures throughout the work show Vivaldi�s skill at taking short simple melodic material and using it through a three movement concerto. The original work is in C major. To allow for performances by trumpet players without the need for piccolo trumpets, this edition has been created. Now this famous piece can be performed on B-flat trumpets.